We Carry Metal Cook Tents! As now required by the City of Philadelphia, all open flame cooking and frying must be done under a metal structure. A flame retardant tent or other pop up tenting is no longer acceptable. Because of this requirement we at Liberty Event Rentals have custom fabricated a tent structure that looks great and is also in compliance with the City of Philadelphia Department of L&I as well as the Philadelphia Fire Department and marshalls. 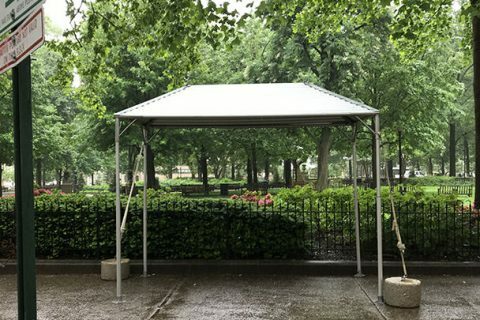 Our metal cook tent is a sturdy metal structure with the traditional frame tent look. It can withstand rain, wind and is sure to keep your cooking operations up and running. 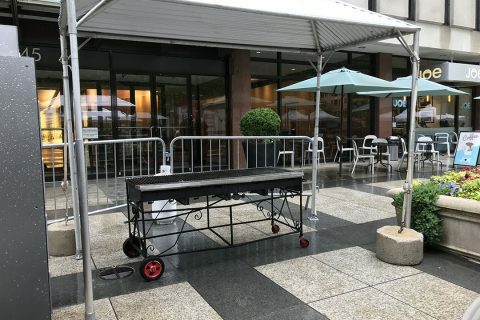 The dimensions of the tent are 10′ wide by 5′ deep, thus maximizing your cooking layout while not wasting any space by being to large for street festivals. 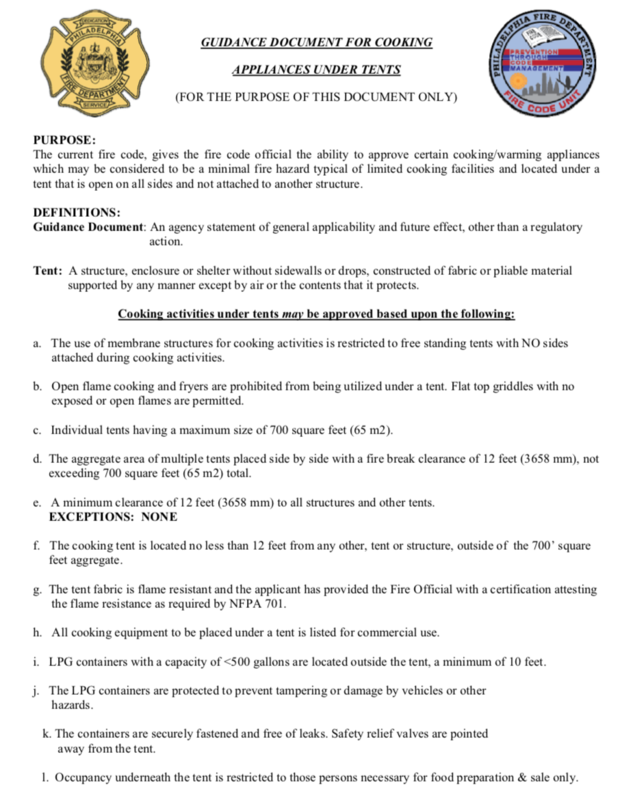 Below is the guidance document from the Philadelphia Fire Dept. for cooking under tents. You will see that open flame and frying can not be done in a standard tent. If you are using a griddle that does not have an open flame it is ok but all other activities must be under a metal structure. If you have specific questions or need additional assistance feel free to contact us and we will surely help you out. 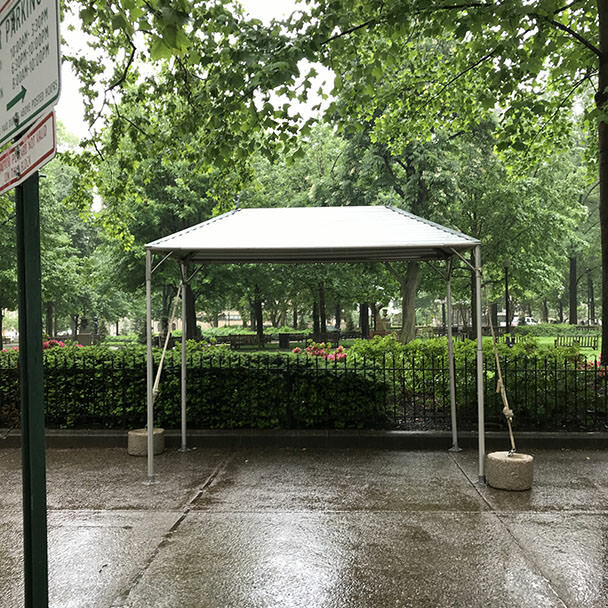 Call us at 267-314-7368 for any questions on our metal cook tent rentals in the Philadelphia metro area including: Center City Philadelphia, South Philadelphia, Rittenhouse Square, Washington Square, Northern Liberties, Fishtown, Fairmount, Graduate Hospital, University City, Old City, Passyunk, Bella Vista, Queens Village and Kensington.